Open to the public September 20th 2005 Dashwood Books is New York City's only independent bookstore devoted entirely to photography. 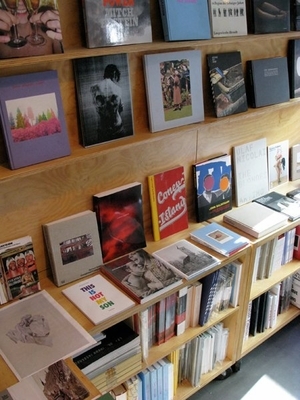 With a carefully curated inventory Dashwood Books specializes in the latest quality books on contemporary photography from the 1960s to the present produced by fine publishers from Japan, Europe and the United States. Dashwood Books also specializes in rare vintage books as well as numerous other out-of-print and quality used titles. The bookstore is host to book-signings and events and the bookstore's website is a convenient way to shop online for new and used titles while keeping up-to-date on the most interesting books being produced on the international market.